This is an incredible true story about how a Quaker Woman saved a ship full of people on their way to Colonial America. Riches didn’t matter to her because she had determined to do only what God wanted. In 1760, she found the man God had for her and married John Pryor, a fellow Quaker. In her lifetime of serving God, she became a prophet and went on evangelistic tours throughout England and Wales. After the birth of her last child, she felt called to travel to America and preach the Gospel. After a few years, her husband agreed but couldn’t go with her. She was 60 years old when she finally made the voyage. Mary found the ship she believed God had told her to book passage to America with. It was called Fame and was in need of repairs. Her son, who worked for Lloyds Insurance Company warned her not to sail on the ship, but she knew God had told her to go on this ship. During the voyage, the ship sprang a leak. Sailors and passengers worked pumps day and night to keep it afloat for several weeks, but they finally gave up. At this point, Mary came from her cabin and announced that God had shown her they would all be rescued if they would continue to pump for two more hours. She even told the name of the ship that would rescue them, the Archibald. The crew threw everything overboard they didn’t need and continued to pump. Two hours later, the Archibald, a sixty-ton fishing boat, showed up and rescued them. They had to reduce water ration and cram aboard the crowded ship, but they made the 600 miles left to America safely. On March 15, 1798, the Archibald docked in Philadelpia without a single member of the crew or passengers lost. Upon departing the boat, Mary immediately fell to the ground to thanked God. A friend who was meeting her there thought she’d stumbled, but another passenger, stopped him from disturbing her prayers. The captain, crew, and passengers gathered around her, removing their hat, and joined her in thanking God. Because of her unusual story of rescue, Mary was able to preach the Gospel in America in a way that attracted many crowds. Tamera Lynn Kraft has always loved adventures and writes Christian historical fiction set in America because there are so many adventures in American history. She has received 2nd place in the NOCW contest, 3rd place TARA writer’s contest, and was a finalist in the Frasier Writing Contest. 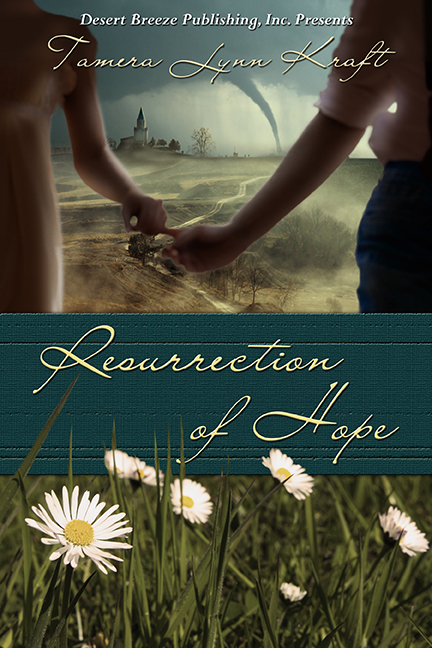 Her novellas Resurrection of Hope and A Christmas Promise are available on Amazon and at Barnes and Noble. Her novel, Alice's Notions will be released in April. A beautiful post about Mary Prior and her faith in God to see her through no matter the trial. What a testimony to those on the ships and everyone around her. I never heard that story before. It's amazing what God can do through his people when we are totally in tune with him. Thank you Tamera for sharing this amazing story, I had not heard it before. Great post, Tamera! Thank you for sharing!